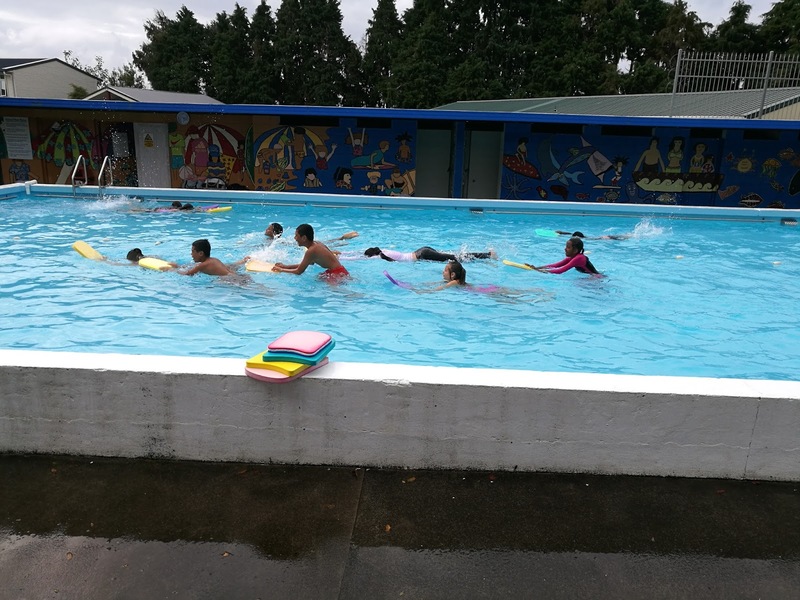 Welcome to Ruma rua tekau ma rima: Swimming lessons have begun!!! 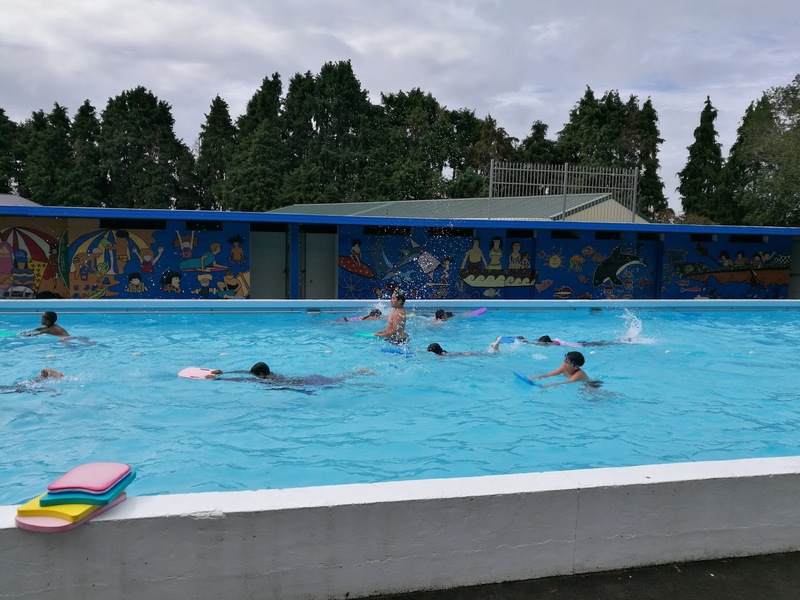 We are very lucky and blessed to have our school pool open again as it is such a valuable learning resource/tool. 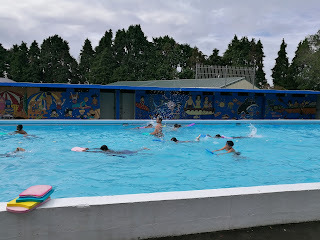 Room 6 students visit the pool four times a week (Monday, Tuesday, Thursday and Friday). Monday and Friday are our lessons with our swimming instructors. Here are a couple of pictures of our time with them. Hi my name is Ethan H.
Hi my name is Cayleigh. I like how you did a post about swimming. So if it is raining do you still go swimming? Do you like swimming or do you like to swimming. Hi my name is Hannah, I am from Karoro School. 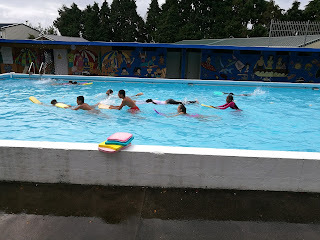 We have a swimming pool at our school too and we love to go in it. Your pool is a lot bigger than our pool. What skills were you learning in your pool? Hi Room 6 its Ayah from Karoro School. Your post is cool you keep on learning how to swim.